The neo system delivers Control from Anywhere functionality directly on your smartphone or tablet. 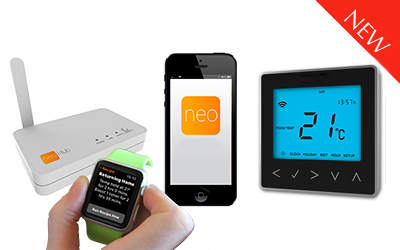 It's the most convenient method of controlling your home heating and hot water; wherever and whenever you want. neoApp is designed to work perfectly with neoHub and neoStats. Together they present an advanced heating control solution that is perfect for modern lifestyles. 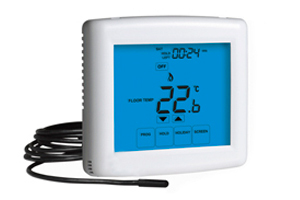 The Touchscreen Thermostats are also flush mounting offering an installed depth of 17mm. The benefit of this series is the ease of use, touchscreen technology is now used throughout everyday life and it's easy to see why. 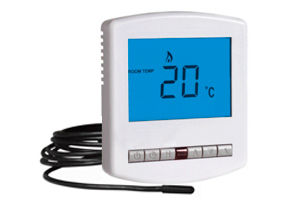 Like the Slimline Thermostat series, the Touchscreen thermostats come in a variety of models to cater for all applications. The Slimline Thermostats are flush mounting and, as the name suggests, they offer a slimline appearance as the depth after installation is only 13mm. With many models in this series, it remains the perfect choice for those wanting a modern design with a large easy to read display and infrared remote control facility. For those clients that do not want a thermostat to be shown on the walls, we have covered this as well. Our discreet wall sensors will replace each thermostat on each wall which is hard wired back to each thermostat within an enclosed cupboard or storage place centrally, leaving you with more free wall space.